This is the only hoppered wire gold specimen that I have ever seen. It is extraordinarily rare and unique. 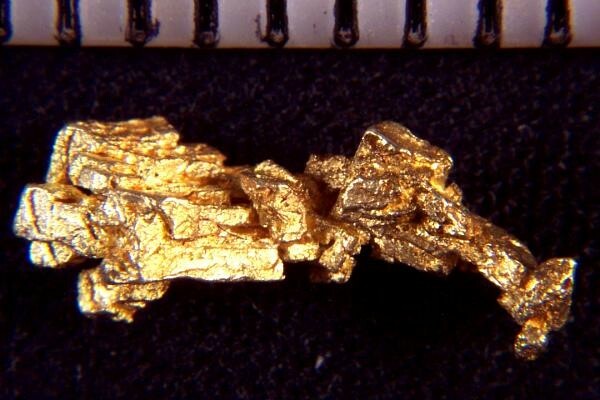 This is a wire gold nugget with distinct elongated octahedron gold crystals in a hoppered formation. This natural gold specimen is incredible. 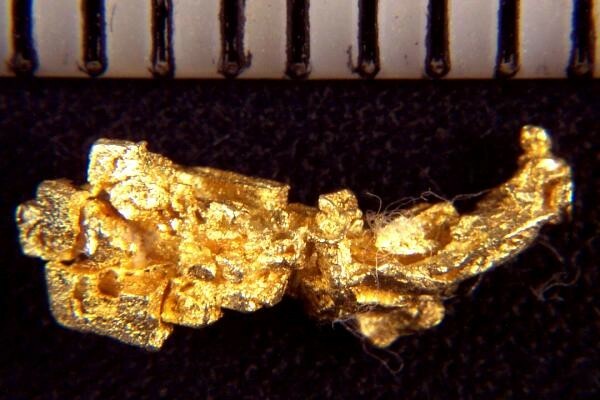 It is 1/2" long, weighs in at 7.4 Grains (0.48 Gram), and it comes from the Round Mountain Mine in Nevada. This rare gold specimen is one of a kind.